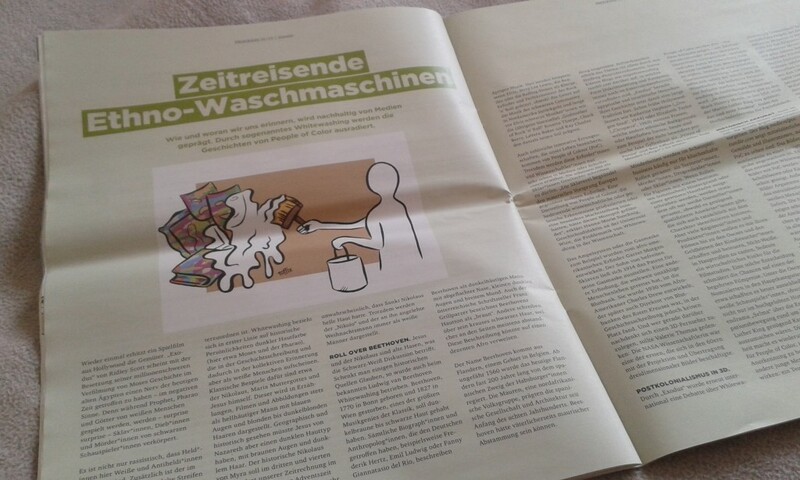 I was invited to illustrate some articles about ” remembrance” in the Austrian university magazine “Progress”. Very interesting articles, e.g. about “whitewashing” and why movies like “Exodus” and other media tend to erase the history of people of color.